At the Bellator 214 weigh-ins, all 32 fighters taking part in Saturday night’s fights will step on the scales Friday. 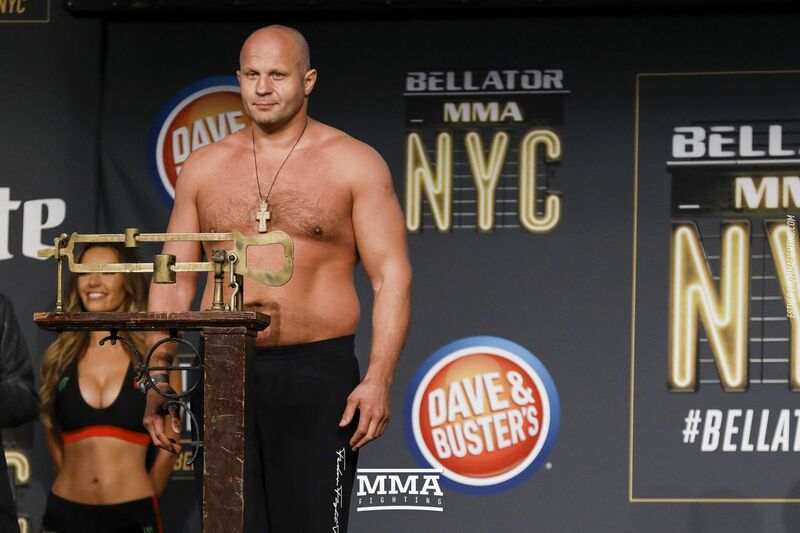 In the main event, Fedor Emelianenko and Ryan Bader will have to hit the heavyweight limit of 265 pounds. The Bellator 214 official weigh-ins will be at 12 p.m. ET, and that video is below. The Bellator 214 ceremonial weigh-ins will be at 3 p.m. ET, and that video is up top. Check out the Bellator 213 weigh-in results below.